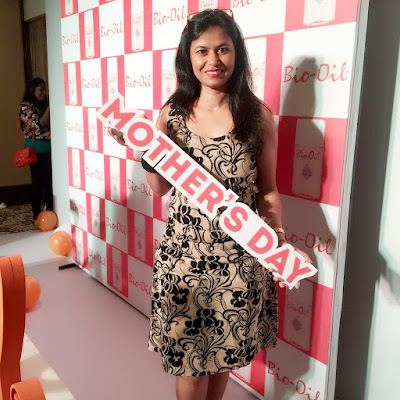 This Mother’s Day offered me an opportunity to experience an event of its kind and a fabulous show as I witnessed the Bio Oils’s #YummiliciousWalk dedicated to expecting mums. 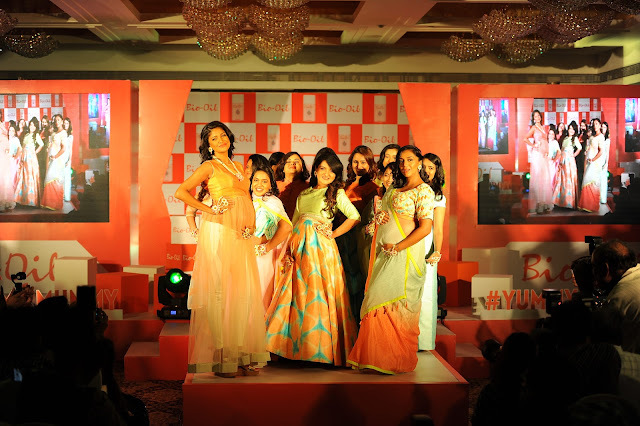 The sight of the beautiful mommies-to-be left the audience awestruck when 12 pregnant women sashayed the ramp with their naturally glowing skin and cute baby bumps. Each one of them looked absolutely stunning, styled differently in fashionable outfits by Inaaya, jewellery, make up and beautifully done up hair. The credit goes to Shivangi Lahoty for their flawless appearance who ensured they all looked nothing less then a princess. 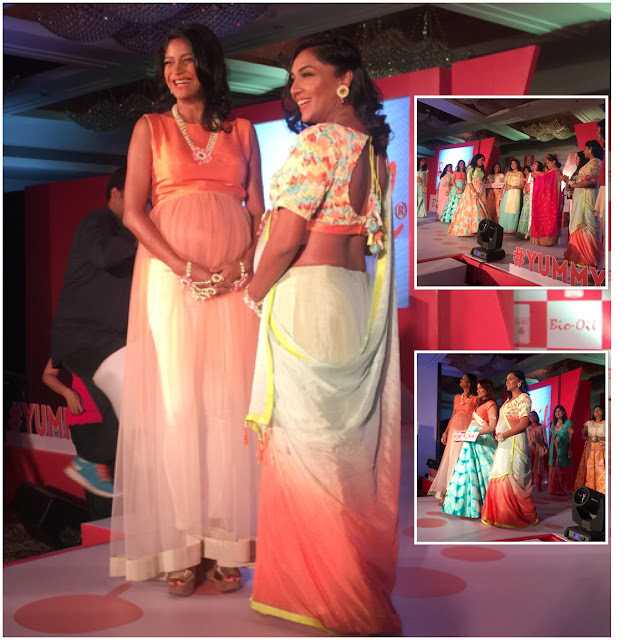 The beautiful and svelte actress Shveta salve and coveted model Carol Gracias graced the occasion with their presence and flaunted their baby bumps too along with 12 other beautiful pregnant women who walked the ramp with complete ease and confidence. 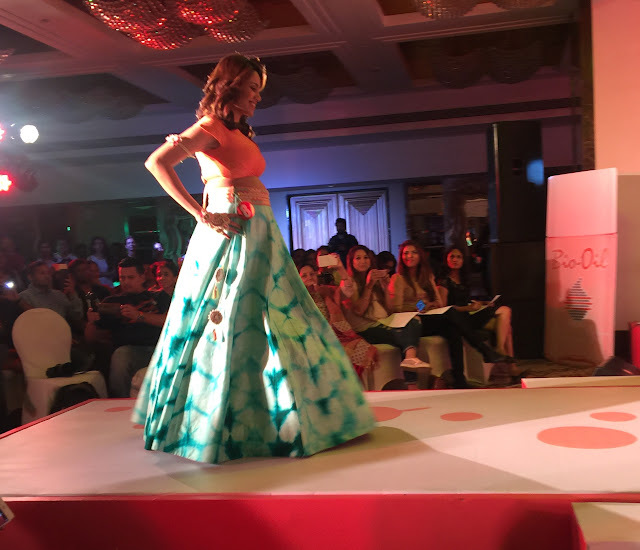 The brand created a platform for expecting mothers, to help them come out of their cocoon and dazzle the ramp. The thought of becoming a mother itself brings so many emotions to a woman. Pregnancy is such a divine state of a woman when she carries a life within her. That’s the most beautiful part of being a woman and needs to be celebrated. No wonder a woman carrying a child glows naturally and looks her best… Still many of us feel uncomfortable with the way we look and avoid social gatherings during this time. Dressing up is definitely the last thing on our mind as we are mindful of the way our body looks. 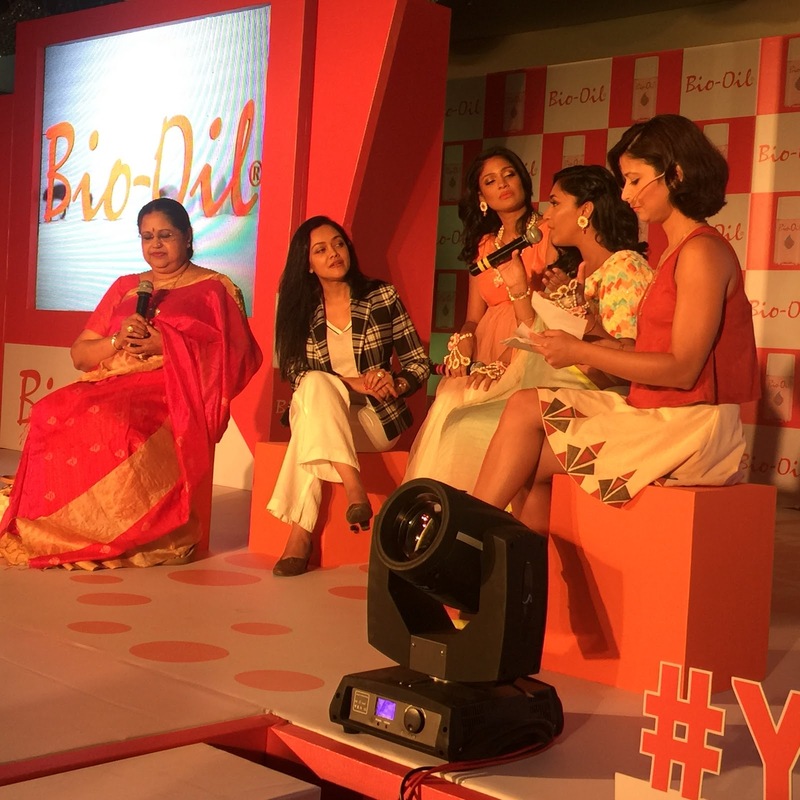 This Mother’s Day Bio oil’s #YummiliciousWalk was a step towards expecting mothers to celebrate their bodies and shed those inhibitions of a pregnant woman. Each mother-to-be looked gorgeous and grabbed all the attention needed at this stage of motherhood. 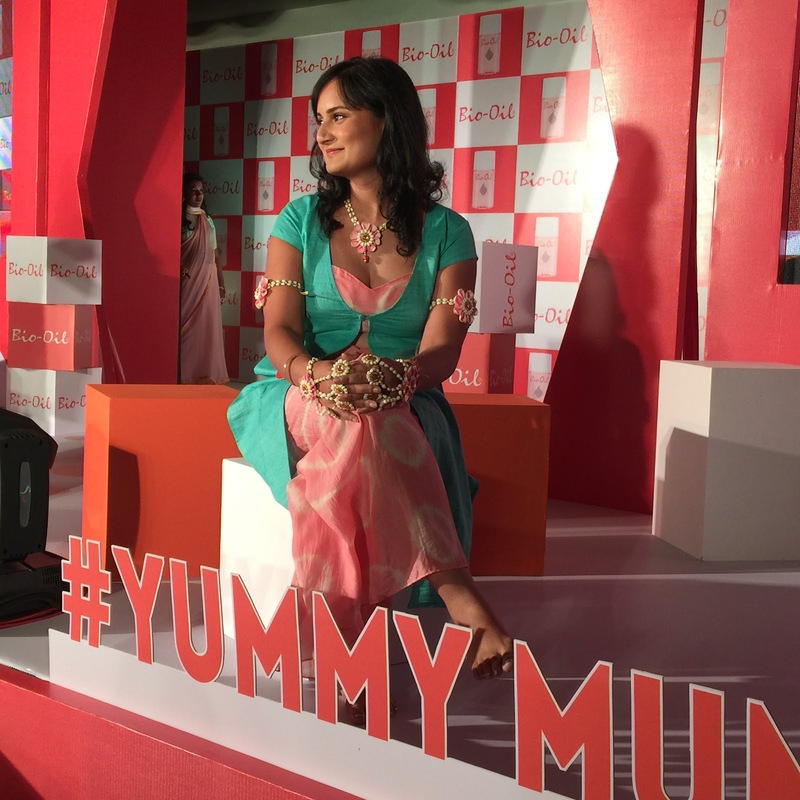 Also present at the event were celebrity gynaecologist Dr. Kiran Coelho and dermatologist Dr. Rashmi Shetty. They discussed the concerns of a pregnant women and their worries of stretch marks post delivery. They also shed some light on the changes a women’s body undergo during pregnancy and suggested one must take care of skin as it gets dry and itchy during pregnancy. Keeping the skin moisturised all the times with an application of Bio Oil can give a big time relief from stretch marks and smoothens the skin keeping it soft supple and maintains its elasticity. The presence of Vitamin E, Lavender, Calendula and Rosemary makes Bio Oil the perfect choice for expecting mothers to rely on. Bio Oil is a specialist skincare oil that not only helps improve the appearance of scars, stretch marks and uneven skin tone but is also very effective for aging and dehydrated skin. 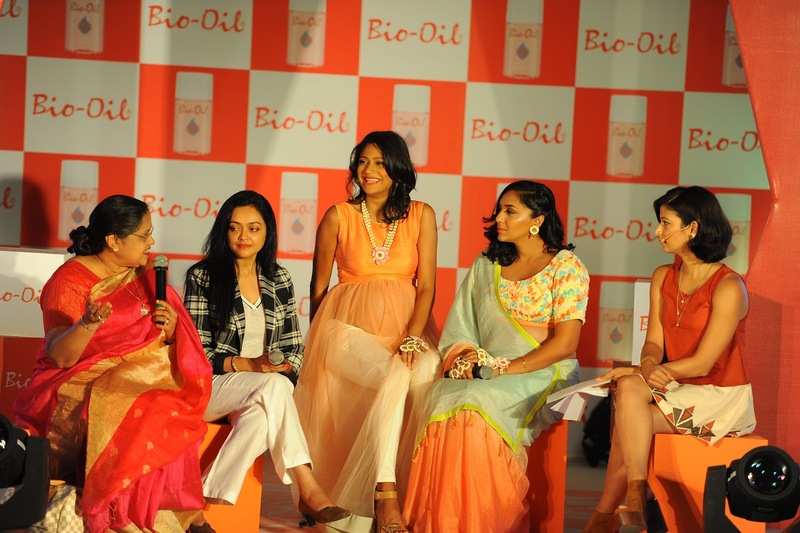 Well-known TV Actor and dancer Shveta Salve expressed, “Pregnancy is a wonderful journey that should be cherished and rejoiced.” She said, ” I have been using Bio Oil from day one of my pregnancy and recommend this to all the expecting moms to get away with dry skin and stretch mark worries. The specialists highlighted the after effects of a good skin care regime and recommended tips for improving the skin as well as the ideal time to get back to exercising post pregnancy. Encouraging women to come out of their shell, boosting their morale and making them feel beautiful was the focus of the event. 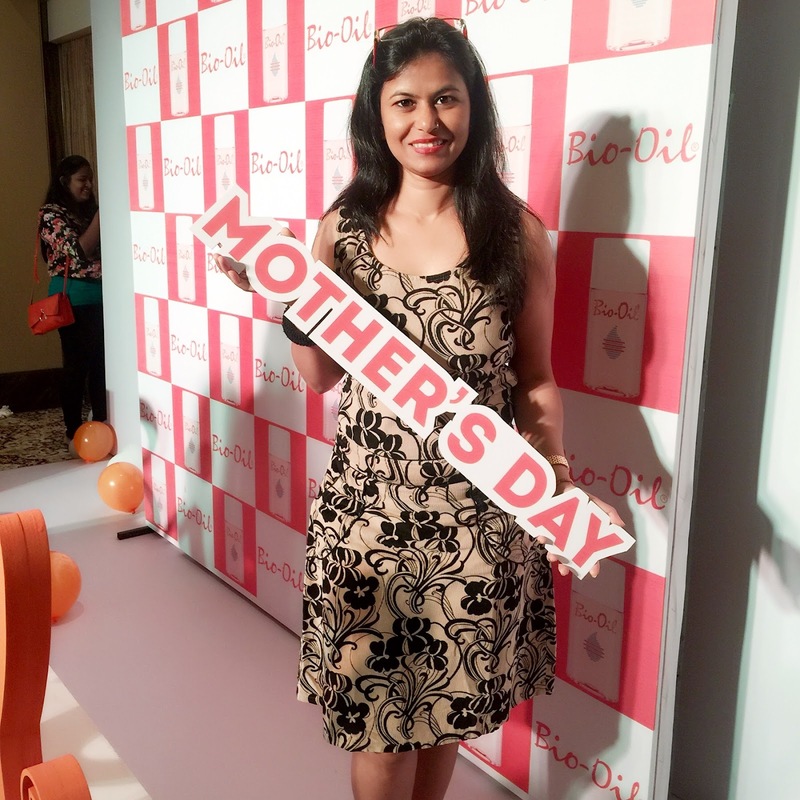 This Mother’s Day, Bio Oil partnered with Yummy Mummies across the country to encourage them to celebrate their pregnancy phase rather than shying away from the world. The event was perfect to match the theme and the occasion of Mother’s Day. What better way to celebrate the love, the care and the sacrifice a women makes to be a mother. “The changes in your body will last for just nine months, but the beauty of Motherhood will embrace you for the rest of your life”. They also shed some light on the changes a women’s body undergo during pregnancy and suggested one must take care of skin as it gets dry and itchy during pregnancy.